Copyright (c) – Manafest Productions Inc.
Stones is the ninth studio album by the Christian rapper Manafest. It was independently released on July 21, 2017.The release was fan-funded through a Kickstarter campaign and is Manafest's second fully independent album since his departure from BEC Recordings. 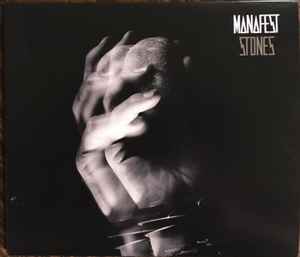 Regarding the album's name, Manafest stated, "I called this record Stones because I feel like people can relate to having stones, obstacles, or even false claims, thrown at them. I think the Scripture in John 8:7 paints this picture clearly when Jesus says 'He who is without sin, throw the first stone' and I might not throw stones literally, but I think it in my mind or I say things that I shouldn't that I know has a similar effect."